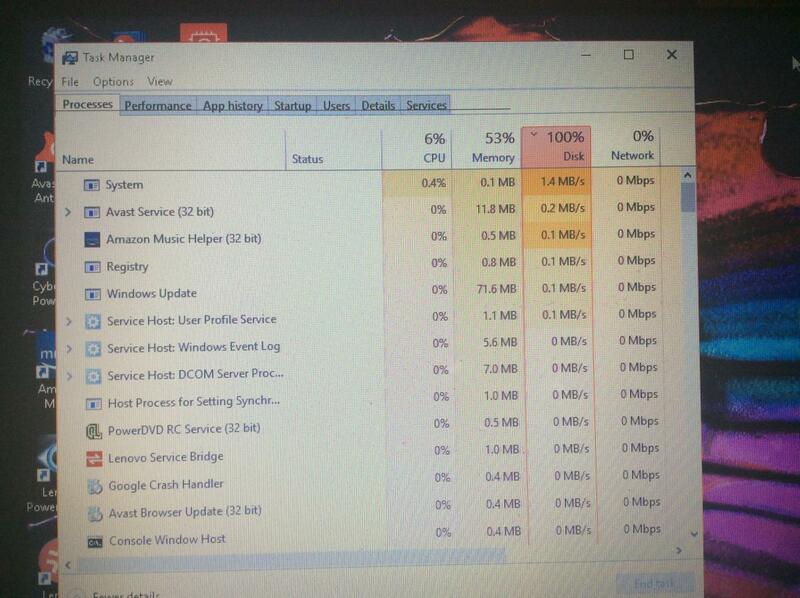 I have win 10, upgraded from win 8 this year, and lately my computer has been running slow, freezing and 2 days ago starting the BSOD. Tried taking a pic of the blue screen for info b/c it goes off to fast. Also, my disk is running @100%, non stop. 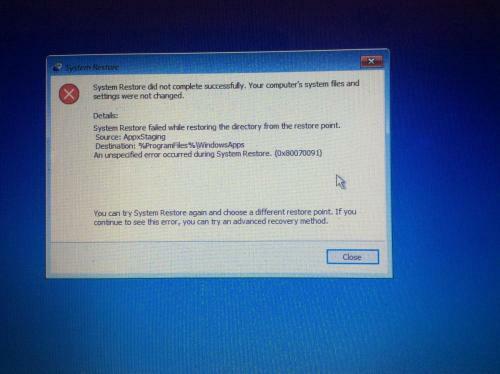 I use avast and ran a boot scan. Found 4 corrupt files from iCloud and thats it. Im using my daughters iPad right now b/c my laptop was TRYING to update Windows but now it has frozen up again. PLEASE (I beg of you) , if you can, HELP! 1st off, thank you for replying so quickly. I tried system restore and it wasnt successfully (pic below). Edited by goodylw, 19 December 2018 - 09:44 PM. Please try the Refresh your PC in the (RE) Troubleshoot options, this option will attempt to reload Windows while keeping your personal data safe, you may need to reinstall some apps though. Ok I wanna make sure I’m following you correctly. In my (RE) mode I don’t see “refresh”, I see “reset”. It’s similar to what u said about keeping or removing personal files and then reinstalling Windows. 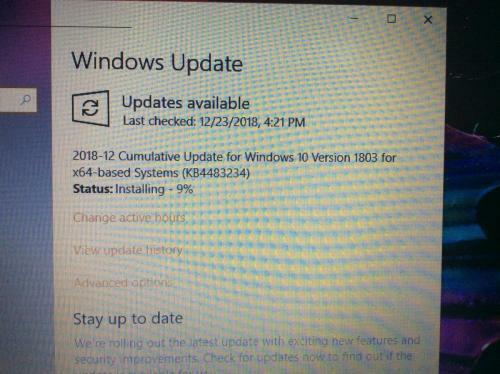 By any chance did you update windows 10 from version 1803 to 1809? 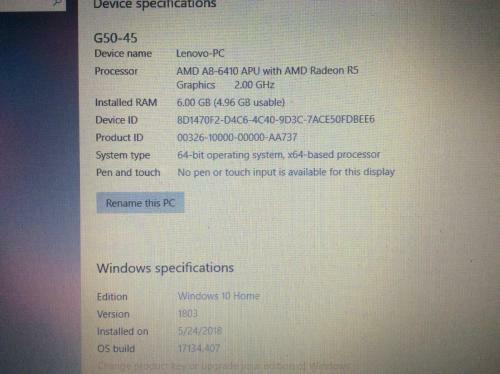 I don’t think I updated win 10 to 1809. I actually just performed the “reset” in (RE) mode and now it seems to be running much better. It updated onedrive seamlessly. I’m going to try and install google chrome now and then I’ll update you all. I actually just performed the “reset” in (RE) mode and now it seems to be running much better. That`s good news, was all your personal data still there afterwards. I actually just performed the reset in (RE) mode and now it seems to be running much better. Yes it was still there. Sadly, its still running slowly and I was able to get 3 updates installed but the largest of the updates ( pic below) gets to 24% and stops. Ive tried multiple times to install but no success. Edited by goodylw, 26 December 2018 - 12:43 PM. Expand to full screen and then take a screenshot for us. Edited by KiwiProbie, 27 December 2018 - 03:19 PM. Not heard back from you goodylw , do you still require assistance with installing the updates or is the issue now resolved, an update would be appreciated. NB: Cumulative updates can take a long time to download and install and often appear to have stopped on a certain %, there is more than one reason for this but a common one is the quality of the internet connection not being very good, this a particular problem with wireless devices such as notebooks etc.